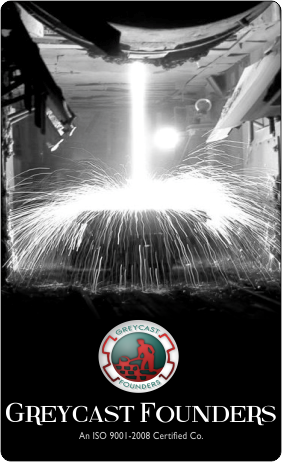 Leveraging on our vast industry experience of more than three decades, we Grey Cast Founders are engaged in manufacturing and exporting of a huge array of assortment of Metal Casting. Our product array consists of S.S. Casting, Special Alloy Steel, Ni-Hard, Haste Alloy, Heat Resistant, High Manganese Steel Casting, Aluminum Alloy Casting, S.G. Iron Casting, Cast Iron Castings, Copper Alloy Casting, Manhole Covers, Hardware Casting and other allied products. We believe in offering optimum quality products to our clients in a stipulated timer frame. Our entire product range id widely demanded throughout the year by our clients. We are committed to provide high grade qualitative products to our clients. To attain an excellent performance, we always put our 100% effort and take all the possible cares that are required.